Callisto has launched a breakthrough lower cost "Compact" cryo-LNA version using a zero-maintenance cryo-cooler. 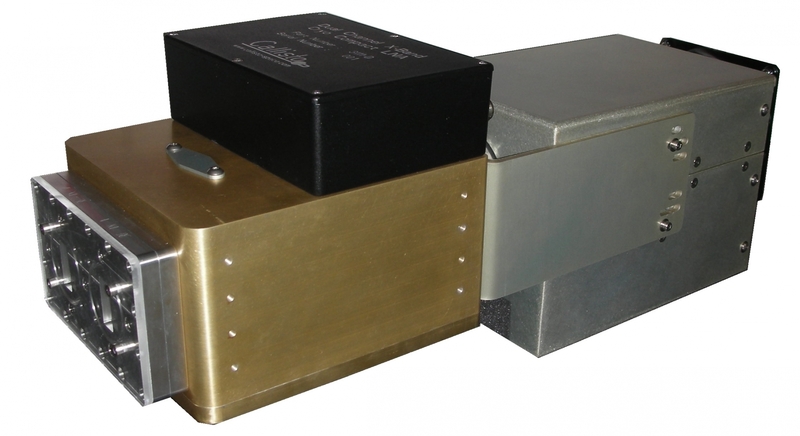 The product has a proven track record in Space Communications and Radioastronomy/VLBI applications, with several units produced for ESA, CNES and Zodiac Data Systems (ZDS). (Other frequency bands are available on request (S/C/Ku)). *Extended frequency ranges are possible - corresponding NT performance graphs available on request. Callisto employs world leading cryogenic technology for its products and the Compact Cryo-LNA uses a light-weight, highly efficient and long-life cryogenic cooler. A Stirling-cycle cryo-cooler is used working at 80K, which combines the cold finger and compressor into one compact unit that can work in any orientation. The cooler has been developed to serve various applications including mobile telephone base station filter cooling. It has been produced in very high volumes and for which extremely long MTBF performance has been demonstrated. Contactless bearings and seals are designed for ultra-long operating life.